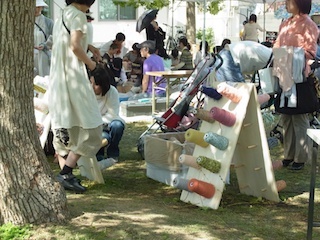 I went to "field of craft Kurashiki" on May 14th. It is held under the sky every May. This is like a flea market. We can buy various goods handmade in Japan. 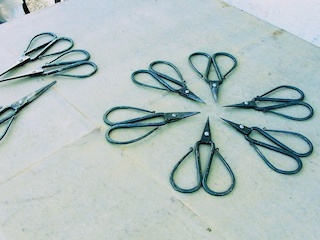 When I was looking at handmade scissors, a man told me to try them. He was the man who made them. He said these scissors were good for cutting herb. I found scissors for cutting herb I had wanted for a long time. So I bought a pair of handmade scissors. I like them very much.